Just launched your first ever blog/ website? Let us introduce you to SEO i.e. Search Engine Optimisation. What is SEO? As the name suggests, it is optimizing your blog or website for search engines. In simple words, SEO is following a set of guidelines of various search engines like Google, Bing, MSN etc. to increase the visibility of your content. Since, Google is the most popular search engine in India, the changes in Google’s algorithm and guidelines are what you should be keeping in mind while taking care of the SEO of your new blog or website so that your articles are the first things that people find when they are looking for something. But first let us understand how does SEO work? Like any programming tool, Google and other search engines, also have their own algorithms* and a set of guidelines through which they determine which articles/ content should be shown on top to netizens when they search for something. Things like the freshness of the content, quality of information it provides, relevancy, other relevant content linked to that article, user-friendliness of the page are some of the many factors Google considers when ranking similar content in its search results for particular keywords. When your articles or posts pass the search engine guidelines with a high score, the visibility of your content on these search engines increases. Thus, your website starts attracting more traffic, which in turn makes you more revenue through sales and ads, and increases the authority of your blog or website. As mentioned earlier, Google takes in to account a lot of factors while ranking blogs and websites in its search results. One of the basic and most important of those factors is Keywords. The richer your content is with target keywords, the higher chances it has of ranking. Keywords are words or string of words that people are most likely to type in a search engine to find the answers they are looking for. So if you write your articles or content using these keywords, the chances of your articles/ pages coming in the search results are a lot more. Thus, the first SEO tip for every new blogger is to research and find which keywords to focus on and write around. Firstly, decide what theme your blog will follow- technology, fashion, news, home décor. Then find out who are you competing against. What are they writing about and how? Which keywords are they targeting? Which keywords are they profiting from? Moreover, Google also has a knowledge graph, through which it recognizes synonyms and related words of various keywords. So, e.g. Google considers coupons, offers, discounts, coupon codes as synonyms and related keywords. Thus, if you have really good content tailored around the keyword ‘offers’, Google will start ranking your content even for the other keywords i.e. coupons, discounts, coupon codes etc. So, if you think that you will not be able to compete with other sites for a particular keyword, you can try using its synonyms or related keywords in your content and still gain visibility for that keyword, thanks to Google’s knowledge graph. The free Google Keyword Planner tool in Google AdWords is the best thing a beginner can use to do keyword research and plan their content strategy. It shows you the search volume and competition of each keyword, within and outside India, in a specific date range of your choice. Keyword research is the foundation of SEO. However, one common SEO mistake that a lot of beginners make is that they stuff their pages with keywords with no regard to the relevancy, usefulness and quality of the content. That will get your blog penalized by Google in no time. The best practice is to use your keywords as naturally in your content as possible, without disturbing its worth. This is one of the easiest, most basic SEO tips a newbie blogger should know. If you have a WordPress blog, optimising each of your articles becomes pretty simple with a WordPress plugin called Yoast SEO. It is one of the must-have WordPress plugins for new bloggers and affiliate marketers. Having installed this plugin in your WP site, all you have to do is choose the focus keyword/s for your topic. Then Yoast shows you how well the keyword/s have been utilized in the title, URL, body text, and description of the article using the green, yellow and red dots. If your article is perfectly optimized, Yoast will show you a green dot on the right side of the WP admin panel, if it needs a little to a lot of improvement, it will indicate with yellow or red dots. Similarly, it also shows you how easily readable your content is and even gives you suggestions on how to improve it. You can only work towards improving your website when you can analyse the efforts you are putting in to it. And the best way to analyse the performance of your website is through Google Analytics. By integrating Google Analytics in your blog/ site, you will be able to see how many times your site/ blog post has been visited/read, of that how many were new users, how long did the users stay on your page/ site, how fast they closed it, how many pages they viewed in one session, from where did they come to your site etc. All these things indicate your users’ or readers’ behavior. If your user behavior is good, search engines consider it a good sign. Armed with all that knowledge from Google Analytics, you can figure out what is working for you and what is not. E.g. if your blog posts have a very high bounce rate that means people are not reading your content for some reason, which is not a good sign. Maybe your article title was misleading and your content did not offer what the readers were expecting, or your blog takes a lot of time to load. All those various parameters affect the SEO value of your blog. You can easily analyse them by installing the Google Analytics plugin in your WP blog/ site. This is another major factor on which your blog/ site’s SEO value is determined. You just cannot overlook this SEO tip. Having a user-friendly site, which is easy to navigate through, is a big plus. Make sure your site structure is so good that every page of your site is easily accessible from every other page. So that your visitors can find whatever they are looking for, from wherever they are on your site, within a few clicks. Also, keep the pages of your blog clearly labeled and formatted in such a way that the content on them is easy to consume. When you promote your blog or site, make sure your readers land on a well-designed landing page that has clear Call to Action, conveys your message and information quickly and precisely, and is well connected with the Home Page. Sitemaps help you quickly find pages you are looking for. Every site has two sitemaps: HTML and XML. The HTML sitemap, which you generally see at the bottom of every site page, is for users. The XML sitemap is for the search engine crawlers. Every new post or content on your blog/ site has to get indexed by search engines, meaning it needs to be entered into a catalog of the search engines from where it can be pulled out instantly when people search for related terms. To index the content, search engines send crawlers (a program) to your site to scan it. Your new content will be indexed much faster if search engines crawlers know where exactly it is on your site. Here’s where an XML sitemap and this SEO tip helps. Every site has a daily crawling budget depending on how updated the site is. This means if a site’s crawling budget is 10,000 pages, Google will crawl only 10,000 pages of it daily. In case, you haven’t set the priority and frequency, the Google crawlers will randomly crawl and index 10,000 pages. But you need Google to crawl the new pages first and the pages in which you have modified or updated the content, so that they get indexed as soon as possible. An XML sitemap directs the crawlers to these new pages and content. If you have a WordPress blog, you can download a good XML plugin, which will generate the sitemap for you, and even notify major search engines every time you upload new content. Now, say if your article does rank on Google’s first page, but when users click on the link your sites takes a really long time to load. So the users start closing the site before it loads fully; this reflects as a high bounce rate which is a bad signal to Google and Google pushes down your site from the top position. Thus, you need to monitor the performance of your site on a regular basis. There are online tools like PageSpeed Insights, which help you measure the upload speed of your website, analyse the content of the site and suggest you changes to make it faster. Also, make sure the blog/ website is mobile-friendly because today more than 60% of the website traffic comes from mobile sites. Currently, the hottest trend is to generate AMPs of some your website’s pages. AMP i.e. Accelerated Mobile Pages load superfast on mobile phones, thus increasing their chances of ranking high in search engines. Another very important SEO tip for newbie bloggers is to find other blogs and sites that will share your content and your blog/ site links on their websites. This is essentially called link building in SEO. Others sites giving your articles/ site links as reference in their content, getting PR coverage with your site’s link in the articles, basically, having other sites on the World Wide Web directing users to your blog increases the authority of your blog. The higher the authority of your blog, the easier it is to rank your content on search engines. However, you need to be careful that your content is hosted only on sites equal to or better than your own site in terms of traffic and SEO ranking. Two of the most popular ways to make money from blogging are Ads and affiliate marketing, which require you to add links of other sites in your articles. (You can know all about affiliate marketing and other surefire ways to make money from blogging in this article. If you have a fashion blog, you will want to give links to some products in it for your readers; or if you have a cooking blog, you can make some affiliate commission by telling your readers where they can buy the ingredients of the recipe from. As a general rule, Google equally distributes and passes the page authority of a blog to all the links on a particular page. So if the authority of your blog is X, and if you have 10 internal links and 5 outgoing links on your new blog post page, each link gets X/15 SEO value of your blog. However, if you want, you can ask Google to only divide your page authority among the 10 internal links (X/10), not the 5 outgoing links, by adding this code, rel=”nofollow” in the <a> tag. You will be able to make these changes in the Text view while editing the Post in WordPress. You can also keep a tab on all the outgoing links on your website by downloading the NoFollow browser extension in your Chrome browser. When enabled, this extension will highlight all the NoFollow and DoFollow links on your blog or site. This is the master of all SEO tips. A Google Search Console is a free online service which provides you data, tools and diagnostics to maintain Google-search-friendly website and apps. Simply create an account on it and add your blog to view, maintain and improve the quality of your blog/ site. The Google Search Console allows website owners to submit and check sitemap, check and set crawl rate, maintain a list of internal and external pages linked to the site, receive notifications from Google about manual penalties, see which keyword searches on Google led to the site being listed in the SERPs (Search Engine Result Pages), raise page removal requests etc. It also gives you suggestions on what improvements you need to make in the HTML of your site, it highlights AMP issues, gives search traffic analysis, tells Google the country and language of your site, reviews the mobile usability of your site and much more. As you take more interest in the optimisation of your site, the Search Console will become increasingly useful to you. The first and most important thing you need to take care of with Google Search Console is to set a preferred domain. Whenever a new site is created, multiple URLs of it also get created by default. Thus, your blog can be accessed through more than one URL like http://www.yourblog.com, http://yourblog.com, http://yourblog.com/index.php. This dilutes the SEO value of your blog/ site. Thus, you need to tell the search engine which one is your preferred domain i.e. how do you want your blog URL displayed: yourblog.com or www.yourblog.com. You can set the preferred domain with the help of Search Console. 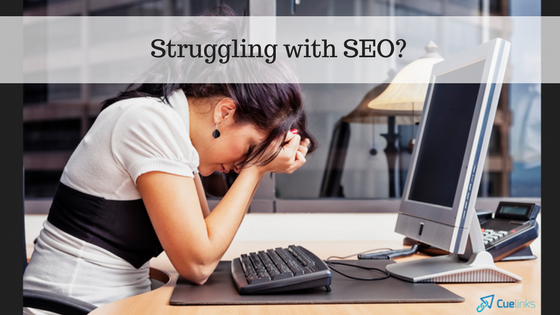 This SEO tip involves stopping others from harming the SEO of your blog. Like in every competition, in SEO too, there are those players who try to win by bringing others down, instead of improving themselves. In the world of SEO, unethical players try to harm their competitor sites by posting the competitor site’s link on spam, X-rated or scam sites. When your blog/ site’s links appear on such sites, their value passes on to your site, and Google is highly like to penalize your site as a spammer. Thus, you need to periodically check for such backlinks (links of your site on other websites) and disavow them i.e. tell Google, that no value of the spam websites passes on to you. You can do this in Google Search Console. Making your content more SEO friendly involves tinkering with the HTML of your blog posts. E.g. writing certain headings with keywords in h1 or h2, adding the nofollow tag in outgoing links, creating and configuring the robots.txt file, editing the htaccess files etc. To understand and make these changes you need at least a working knowledge of HTML. Ask a techie friend to help you or just take some online help; it is simple and easy to grasp. As mentioned earlier, every site has a daily crawling budget. If your blog or site has too many pages and unnecessary pages get crawled by search engines, it is an issue. Using the robots.txt file, you can give specific instructions to the crawlers of the search engines. You can tell them to go or to not go to certain pages. This is an important SEO tip because you don’t want the crawlers to scan and index pages with delicate information like login details, passwords, bank card details, purchase history etc. Schema is a specific vocabulary of tags that you can add to your blog post’s HTML to improve the way your page is displayed in the search results, thus making them more attractive and clickable. Using Schema you can display star ratings, price of a product, validity of a discount, Meta descriptions, images or any other important snippet of your content in the search result. However, you will need a slightly deeper knowledge of HTML for this. Once your website gets penalized by Google, it is next to impossible to get it to rank on Google ever. Thus, make sure you always keep your blog in the good books of Google. How? Just follow some best practices like avoiding keyword stuffing, writing original and good length content. An article is supposed to be at least 350 to 400 words in length. Use images wherever necessary. Do not use misleading titles. Do not post duplicate articles. If you are using WordPress, make sure that you have kept Comments disabled. If this is not done, then all the spam comments with spam links posted on your blog posts will get approved automatically and Google will penalize you for sponsoring spam links. In short, SEO is about working with search engines to serve the best and most relevant content to netizens. If you are in line with this proposition, you cannot go wrong with it. So, all the best. Do you have any doubts or other basic SEO tips that a novice blogger must know? Share them with us in the comments section. Keep following this blog for more knowledge on blogging and affiliate marketing. This is very useful information to me.Because iam new to seo.these tips gave much more information.Thank you so much for sharing this. Great Article Vandana! Being a Blogger I always keep these points in my mind. These are the perfect tips for newbie blogger. This is very useful information to me.Because iam new to seo techniques these tips gave much more information.Thank you so much for sharing this. A sure shot reference for a new blogger to know the basic essentials of blogging. quite informative! You have provided very nice information in this article. For new bloggers like us its very much valuable and also we can implement it in our blog. I will reading all your blogpost nowonwards. Please keep writing awesome posts. Very useful post, as I am a newbie blogger. I am already using yoast seo on my blog but I was unaware of do follow links and no follow links. Many thanks. This is a super in depth blogspot tutorial, good stuff! I intend to pay more attention to SEO for my blogs. A little bit of effort makes a big difference in the optimization game. Thanks for an in depth info on seo and tips that can help me to improve on the seo of the site. Moreover, the information on robots.txt schema.org and onpage seo tips are very useful. I want to ask a question on offpage seo. How I can increase backlinks for the news portal site? Yes, you are right. SEO has been very important in bloggers life and when you do things right then you see the magic. Such an amazing stuff. A little effort can make difference in ranking and optimizing traffic. Thank you for sharing this.